I remember being really young and asking my mom why the Joker and the Penguin were bad. "Because they are crazy, honey" was her answer, which satisfied my developing mind back then, but has been generating many thoughts in my adult [debatable] mind lately. Crazy is a very loaded word. For many years it has been used—not only by my mother, but by pretty much all of us—to describe fictional and non-fictional characters whose actions are considered wrong, odd, or even evil. This trend is especially evident in the Batman comics and films; many of its super villains have been taken to the Elizabeth Arkham Asylum for the Criminally Insane instead of a good old regular maximum-security prison. However, many real-life psychiatrists and psychologists argue that most Dark Knight rogues would not really qualify as criminally insane. In fact deeming an evil character such as the Joker as psychotic or simply mentally ill only contributes to an ever-growing trend in today's society: the demonization of both mental illness and mental health treatment. First, let's get one thing straight: I love Batman. The rogues in its comics and films are possibly my favorite characters ever. They are interesting, bizarre, alluring, sinister, and in many ways represent the Dark Knight's own inner struggles and traumas. With that said, it is also imperative to understand that mental illness is a vague term that encompasses an array of disorders. The most common types of conditions are anxiety, mood, psychotic, eating, impulse-control, personality, obsessive-compulsive, and posttraumatic stress disorders. Within each of these categories lies an extremely long list of ailments that can impact anyone's life deeply but will not necessarily turn someone into a dangerous fiend or make him/her criminally insane. In fact, most patients tend to be more dangerous to themselves than to anyone else. So what makes someone fit a criminally insane defense? The legal definition of criminally insane generally states that one, suffering from a mental defect or disease, committed a crime but was not aware he or she was doing something wrong. Those deemed criminally insane cannot be convicted of a crime or wrongdoing, because criminal conduct involves the conscious intent to do something wrong, which is a choice that the criminally insane cannot evocatively make. This disassociation with reality and how society works can be seen in those with psychosis, for example. Psychotics tend to hear, see, and even taste things that are not there. Real-life serial killer David Berkowitz, a.k.a Son of Sam, killed his victims because his neighbor's dog, whom he believed was possessed by a demon, commanded him to do so; Ed Gein dug up female bodies and killed a woman so that he could make a woman-suit and "become his mother—to literally crawl into her skin." They would fit in at Arkham nicely. Harley Quinn could be in the right place. She went from working with the medical team at Arkham to being obsessed with the Joker, creating the illusions in her mind that he is in love with her and Batman is evil. These beliefs could indicate she has psychosis, because they are certainly far removed from reality. However, the same cannot be said about the Joker and the Penguin. The Joker does not believe he is cleansing the planet from wrongdoers nor does he hear voices telling him what to do. He does what he does because he thinks it's amusing. He could easily fit the profile of a psychopath. Psychopathy, a personality disorder, is marked by one's inability to feel empathy toward others, but it does not inhibit one's ability to perceive reality. In fact, there are disagreements among mental health professionals as to whether such disorders even qualify as mental illnesses. 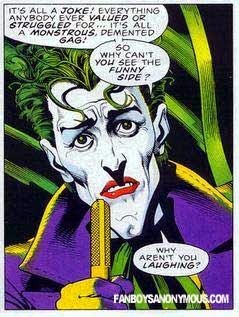 The Joker knows what he does is wrong by society's standards, but he does it anyway. Oswald Cobblepot is also aware of his actions. The Penguin is rational and does whatever he needs to get what he wants. In other words, both rogues are criminally responsible. Just like Jeffrey Dahmer and Ted Bundy, if trialed, the Joker and Cobblepot would be considered guilty for their crimes; instead of Arkham, they would be sent to a maximum-security prison. Hello Blackgate! In addition to the confusion generated by all these different disorders and the legal jargon, Arkham's image and morbid history furthermore intensify the stigma surrounding mental health. 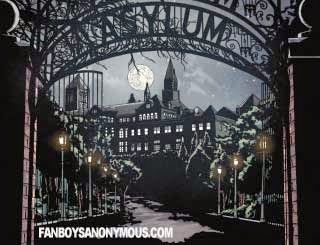 Elizabeth Arkham Asylum for the Criminally Insane, located on the outskirts of Gotham, had its debut in October 1974's Batman #258, but the public only found out more about its history during the '80s. Throughout the years the institution has become more and more sinister, getting closer to one's vision of hell than to a place made to care for the mentally sick. Luckily, real-life mental health facilities are not that nightmarish. 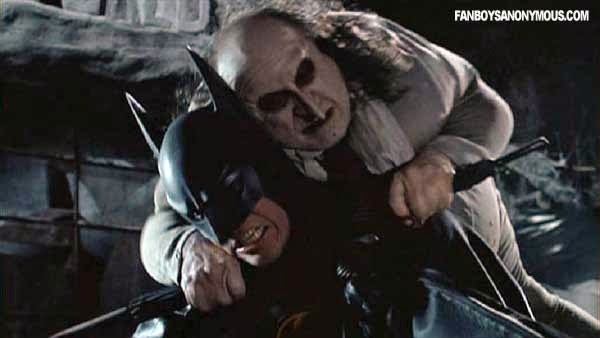 Although there is still a great need for improvement in the area, doctors in the real world tend to have a much better grasp on their patients than do the ones in Gotham. 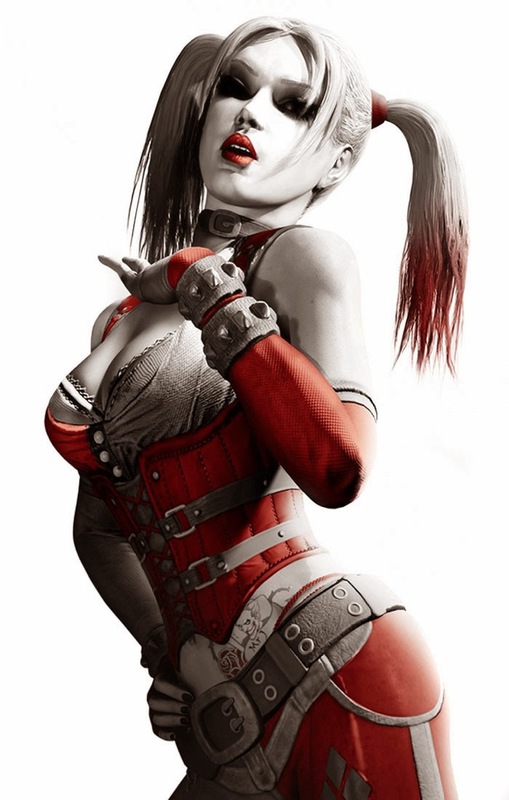 The patients at Arkham Asylum are not the poster children for the criminally insane. Their antics do not help demystify current views on mental illness and its relation to violence and crimes. We need to remind ourselves that mental illnesses are not that different from physical ones. We are all products of a combination between biology and environment, so it is unfair to blame one of the two for crimes and/or other unfortunate situations in our society. Although I don't think Batman will change the way the criminally insane are portrayed in its films and comics, it wouldn't hurt to see a broader conversation on the topic of "faulty" human minds. After all mental illness patients need support, sympathy, and kindness, just like any other human being. What do you think about how villains are represented?